Certifications provide credentials to a product. Premier English Manufacturing Ltd (Premco)is a registered manufacturer for specific product certifications. The certified sustainable palm oil is traceable through the supply chain from the communities and growers to the manufacturers and retailers. Check our progress at www.rspo.org We are certified manufacturer of RSPO health and beauty care products. We also take care of the registration process. As global demands for palm oil is escalating, the large plantation of palm trees can happen at the expense of forests, wildlife and communities. Answering to this growing environmental and social concern, the Roundtable on Sustainable Palm Oil was founded on the initiative of the WWF to promote the production and use of sustainable palm oil. 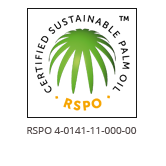 For end users, an RSPO certified product proves that the palm oil used is produced in a sustainable way and meets the RSPO global standards. Premier English Manufacturing Ltd is a certified manufacturer of organic personal care products to the Soil Association’s standards. Consumers are turning to organic products because of a growing concern on how chemicals and other synthetic ingredients can impact on their skin. However, in a market place where a plethora of products claim to be natural and organic, consumers are getting confused and genuine organic products need to stand out and communicate their true value. Not only can we develop formulations that comply with the Soil Association’s standards but we also take care of the registration process. 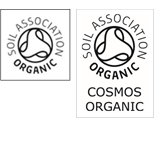 Premier English Manufacturing Ltd is a certified manufacturer of organic personal care products to the Soil Association Cosmos standards. 95% of a product’s agro-ingredients and 20% of the entire product must be organic. Products must also meet environmental standards for packaging and manufacturing, and use approved ‘green chemistry’ processes when modifying ingredients. 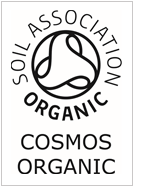 Not only can we develop formulations that comply with the Soil Association Cosmos standards but we also take care of the registration process. For us, it means that when manufacturing any Halal certified product, our procedures, facilities and equipment comply with the HAB guidelines. 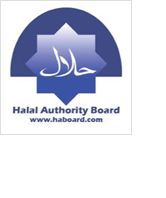 For the consumer, a certified Halal product gives reassurance that not only all the ingredients are Halal, but also the way the product is made meets the guidelines set by the HAB.